Bright open floorplan w/soaring ceilings & tons of windows that pours in natural sunlight.Updates: NEW ROOF HVAC, Lennox Furnace, Somerset floors, updated light fixtures, renovated baths, wrought iron balusters & more! Bed on Main makes great Home Office. 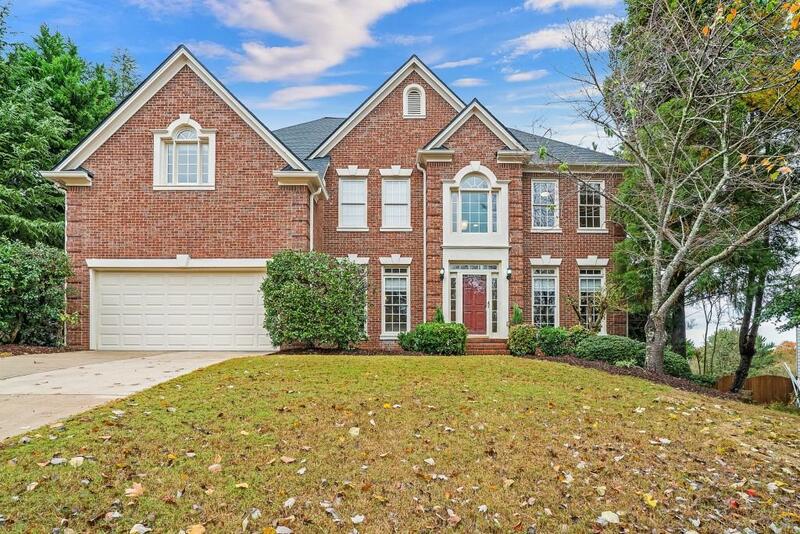 Kit perfect for entertaining~granite,stainless appliances,Butler's Pantry & opens to B'fast Area & oversized Great Rm.Master Suite boasts spa Bath+dbl sided walk-in closet.Finished Basement has Rec Rm w/built-in bar, Home Theater, Bedroom+Full Bath.Outdoor Living Areas: large Deck, paved Patio w/fire-pit + Fenced Yard.